Filter Housing | Liquid & Gas Filter Housings | CH Bull Co.
To accompany our selection of filters and complete your pipeline filtration system, C.H. Bull offers a variety of filter housings. Manufactured by NAFCO and Eaton—makers of the filters, strainers, and other filtration devices we offer—these filter housings provide a perfect fit and reliable protection against any and all workplace hazards. C.H. Bull is an authorized distributor of NAFCO and Eaton products. Like their filters and strainers, NAFCO filter housings deliver exceptional performance and durability. They’re designed to operate in pressures from full vacuum to 10,000 psi and in temperatures up to 700°F. NAFCO manufactures housings for air-intake filters, in-line filters for liquid and gas pipelines, and more. Their housings are manufactured from carbon steel, stainless steel, and other high-alloy, ASME-approved materials. All NAFCO filter housings are designed for fast, easy installation and minimal maintenance. Eaton offers cartridge filter housings and bag filter housings in more than a dozen different configurations, all designed to complement their high performance filters and strainers. Eaton cartridge housings are manufactured from AISI 316 Ti/316 L stainless steel. They’re ideal for food and beverage processing, sterile filtration and pre-filtration, and pressurized air or steam filtration. 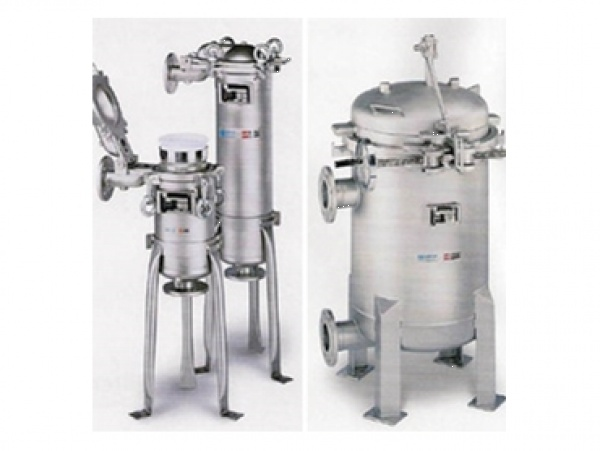 The company’s bag filter housings are designed for single- and multi-bag setups and manufactured from stainless steel or engineered plastics. From light-weight filter housings to heavy-duty industrial models, C.H. Bull has the perfect filter housing for your unique application. Request a quote or contact us for more information.